Reading this delightful book is a lot like flicking through a family photo album. 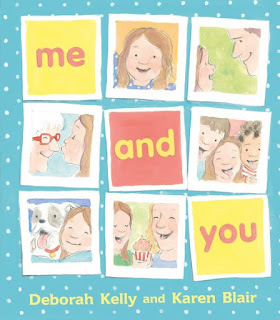 Author Deborah Kelly and illustrator Karen Blair have focused their lenses beautifully and snapped so many joyful memories of childhood. 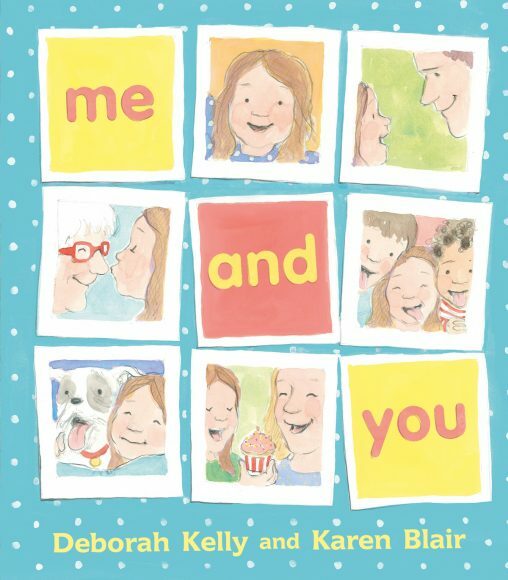 There are all kinds of fun-filled moments for the child in this book and each is shared with someone special. There are pedal-pushing days of biking with Dad, slippery-sliding days at the playground with friends, and grubby-garden days with grandparents. Penned in a lively, rhyming voice that's satisfying to read out loud, the story is heartwarming and buoyant. Blair's loosely drawn illustrations in pencil and watercolour lend further charm to the story. Her palette of soft pastels gives each page a gentle glow, just as the sunlight would a happy snap. The cover of polaroid-style photos, along with the gorgeous endpapers of family photos stuck to a fridge, also enhance this concept. Parents and grandparents will delight in reading this to little ones and children will love recognising the familiar activities they've enjoyed with their own loved ones, while garnering ideas for creating new memories. My own little girl was thrilled to point out that we, too, love our arty-crafty days and sausage-sizzling days, and couldn't wait to drag Mum into the kitchen to whip up some yummy-scrummy cupcake-day memories.